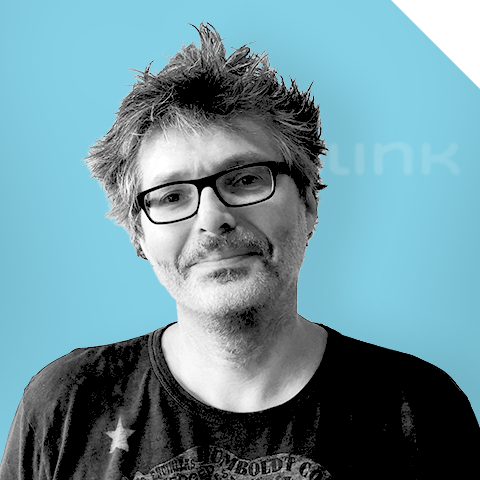 Marc Molon is co-founder and Chief Design Officer of P2link. He is a specialist in Design management and has worked as design director for over 20 years. After graduating from Rubika – ISD France he headed several French design agencies, and is a former member of Food Innovation Nexus (FIX) in Providence USA. Marc is a recognized specialist in the strategic segments of organization design, universal design, software design and development, user interface and ergonomics and inclusive design. Thanks to his work his clients have received awards in a number of fields such as culinary, web… His comprehensive expertise in web project design (UX / UI design, motion, product and identity) allowed him to develop a transversal and vertical vision for the P2link project and become one of the project’s founders. Difficult to imagine Marc without his great passion: “la cuisine”. “From Garden to Plate” could be his motto. He has worked with many great French chefs and was the French team’s designer for the Bocuse d’Or 2005 and 2011, maybe the World’s premier Cooking Contest. An experienced team for innovative healthcare solution.